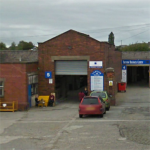 We currently have a newly available 5,000 sqft industrial unit to let complete with large office area on the popular Yarrow Business Centre in Chorley. We are looking for offers in the region of £13,500 per annum + service charge and VAT. This unit is available for immediate occupation.